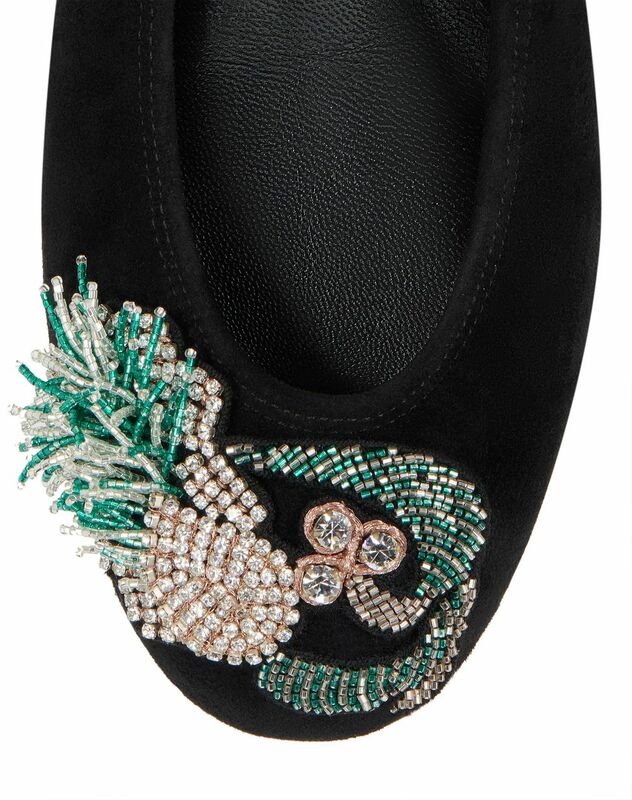 Ballet flat in black suede goatskin leather, elasticated with tone-on-tone topstitching, cap toe topped with embroidery featuring hand-laid beads and black insole with gold "Lanvin" logo. 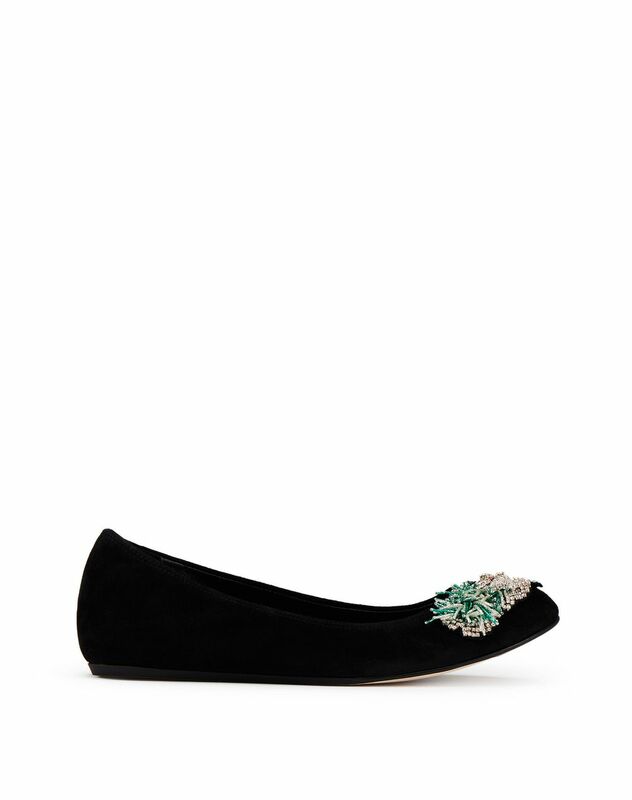 This ballet flat in black suede goatskin leather stands out for its intricately crafted embroidery inspired by the theme of travel. 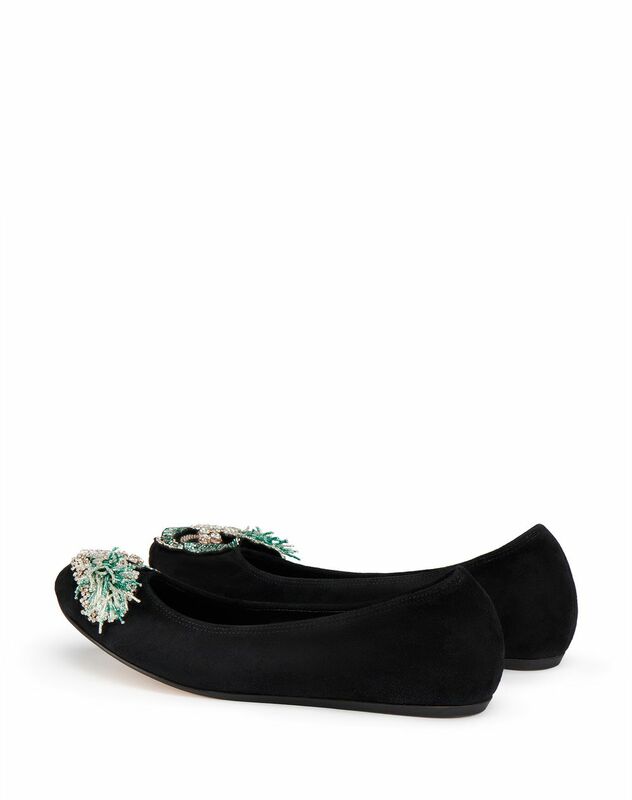 Hand-laid beads and crystals add sparkle to this must-have for every woman’s wardrobe. 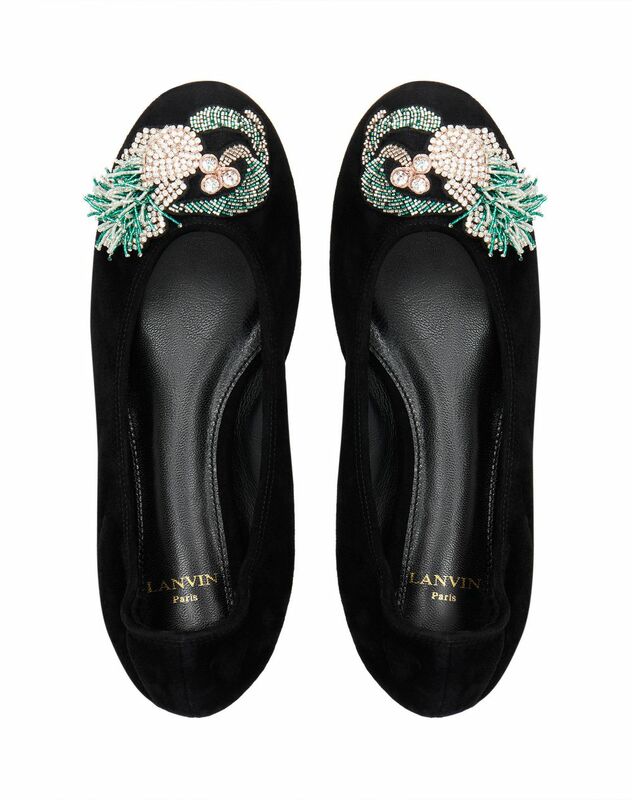 Elegant and romantic, this ballet flat reflects Lanvin’s expertise and is sure to become an everyday essential. Main material: 100% capra goatskin leather. Lining: 100% calfskin leather. Sole: 70% cow leather, 30% TPU. Heel height: 0.2" Made in Portugal.